Dr. Richard M. Bohart was a member of the Department of Entomology at UC Davis for more than 50 years. 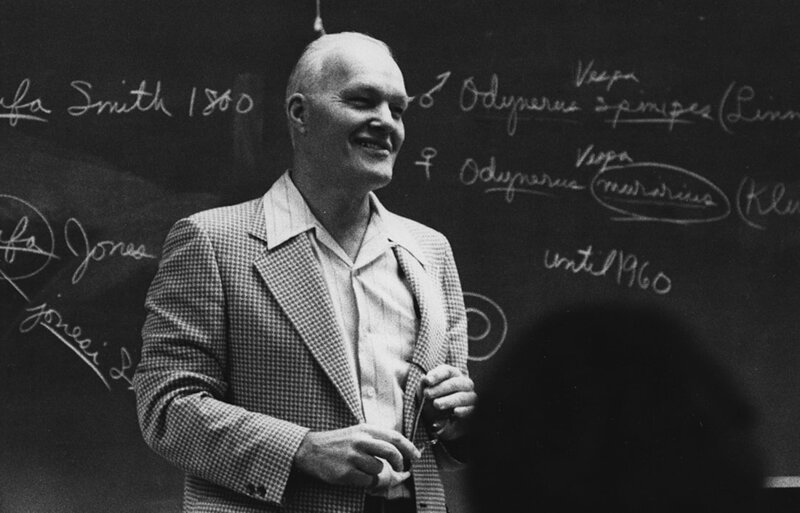 He led an outstanding career in entomology both as a scientist and teacher. Dr. Bohart ("Doc") began his career at Davis in 1946. He became well-known for the courses he taught on general entomology, insect systematics and a summer field course in insect identification. He served as chair of the Department of Entomology from 1963 to 1967. His scientific research on insect taxonomy and systematics is unparalleled. His publications include three of the most important books on the systematics of the Hymenoptera, including the well-used volume Sphecid Wasps of the World. His journal publications total over 200 articles. He revised many groups of insects, discovered new host-associations or geographic ranges, and described many new species. 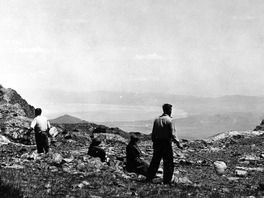 The collections made by him and his students during field courses form the basis for the Bohart Museum's unrivalled collection of the insect fauna of the northern Sierra Nevada Mountains. He and his wife Margaret also contributed many specimens from their collecting trips around the world. He also provided generous personal financial support to the collection. Here is a link to a 1996 video of Dr. Bohart being interviewed by Dr. Lynn Kimsey, who studied with Dr. Bohart and now serves as faculty director of the museum. This is part of a UC Davis Emerti Association program and the video is hosted by the UC Davis. It runs for 1 hr:08 min:16 sec. 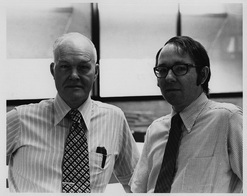 Prof. Bohart with his graduate student Arnold Menke. Future entomologists Richard Bohart and his brother George on a collecting trip. Prof. Bohart, seated center, being honored by colleagues.